Are you looking for Activations, Advertising, Agencies, Branding, Community Marketing, CRM, Data, Design, Digital Media, Direct Mail, E-mail Marketing, Events Management, Film & Radio, Fulfilment & Logistics, Loyalty & Rewards, Media, Mobile Media, Online Media, Print & Production, Promotional Goods, Public Relations, Sales, Software & Technology, ;Telecommunications? 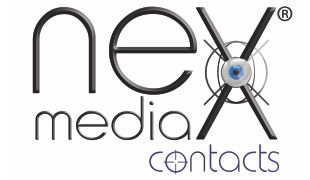 Whether you are an established player or a start-up to the Media and Marketing industries, Nex Media Contacts is the one search portal you need to consider for all your procurement needs. This is your link to the best media and marketing suppliers who are situated close to you! It is the most comprehensive listing of suppliers in the country, categorised to make finding the right supplier for your company's needs as simple as ABC. We help take away the guesswork in finding the best supplier for your needs. This search portal is categorised according to the products and services that you require. It is an interactive website that allows your company to submit online requests for quotes and your prospective suppliers are then able to contact you. To get started, simply click on Find Supplier and select the first letter of what you are looking for, example D for Design. Once you have found a supplier or suppliers of interest, simply click "Request a Quote", complete the form and they will get right back to you. How's that for convenient?! !